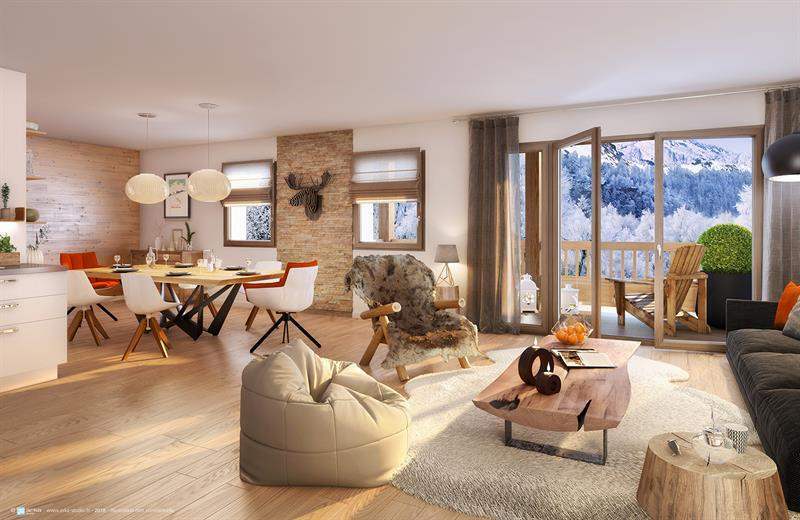 This residence enjoys an ideal location in la Plagne Montalbert; ski-in/ski-out, allowing you to reach the cable car of Fornelet directly. Shops, bars and restaurants of ski resort are accessible by foot in 5 minutes. The residence is composed of 65 apartments from 1bed to 3 bed, designed with stone wall, wooden pan, warm decoration. Cellars, ski lockers and underground parking are available to all residents. All apartments are fully furnished and equipped; most apartments open onto terraces or balconies with stunning views of the mountains. Authenticity and modernity will mingle to guarantee premium services. Each apartment has a cellar, a ski locker and parking. For the after ski or the non-skiers, you will have many activities in the residence to relax or to meet up. The residence will offer the following facilities: a lounge with play-room, an indoor pool, a wellness area with treatment room, a sauna, a steam room, sports equipment. For more convenience, the residence offers covered parking, luggage storage, laundry and heated ski storage. A concierge service is available for owners.